Why Choose The Fantastic Floor? We know that there are a lot of online hardwood flooring retailers on the market, and we're honored you've considered making your next hardwood flooring purchase with us. For today's post we'd like to highlight some of the reasons we consider ourselves to be the premiere online hardwood flooring provider in the industry today. So without further ado, here's a bit of The Fantastic Floor horn-tooting. Enjoy! We know you want knowledgeable professionals who know how to treat you right. From advice on what hardwood to choose to the installation process itself, we are dedicated to leaving you 100% satisfied with your purchase and your purchase process. “Saving the world from high prices.” We use this mantra with pride. One reason customers love us so much is because we offer the highest quality hardwood flooring products at reasonable prices. If you're look for the finest floors at a price that won't break the bank, look no further than The Fantastic Floor. 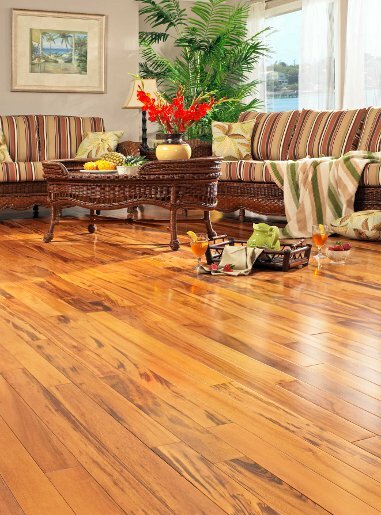 We carry hardwood species from all over the world, including Africa, Asia and South America. Whether you're looking for a domestic standard like White Oak or an exotic species like Tigerwood, we've got you covered. We provide crisp, beautiful images of all of our products so you can see exactly what you're getting before you buy. We also offer detailed technical information about each of our species, including hardness, strength, and density. On average, it takes us just 2 business days to process an order for shipment, and 3-5 business days for you to receive your shipment. Take that, UPS! Hopefully by this point we have thoroughly convinced you why The Fantastic Floor is the best online hardwood flooring retailer on the market today. If not, give us a call at 1-888-449-9663. We'd love a chance to convince you that we're the best at helping people pick the perfect floor! Strip, Plank, or Parquet: Which is Right for You? Hardwood floors come in a great number of different categories: prefinished, unfinished, engineered, solid, long length, various width, etc. Well, we here at The Fantastic Floor are nothing if not thorough, so we thought we'd add one more post detailing another common hardwood category: board type! 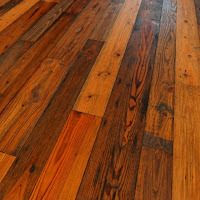 There are three main styles of hardwood flooring boards: strip, plank, and parquet. 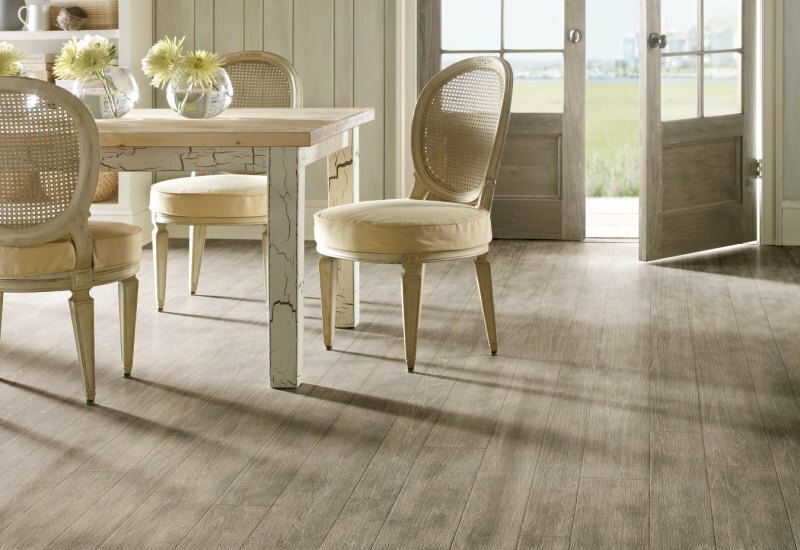 While all three types have their benefits, there are some subtle differences that you should consider if you’re unsure exactly what kind of flooring you want underfoot. Strip flooring is the most common type of hardwood floor. It is usually a little over 2 inches wide. It creates a very even, linear look, and it’s known for making small rooms appear larger. Strip hardwood is a classic hardwood style, and it's usually a fairly inexpensive one as well! Plank hardwood flooring requires a little more space. Planks range from 3 to 7 inches wide, which gives this specific hardwood flooring style a more casual appearance. Plank flooring is great for more rustic or old-fashioned home design schemes, or for anyone looking for a laid-back atmosphere. Design-wise, parquet is in a category far apart from strip and plank. A parquet hardwood floor usually consists of geometric patterns linked together, but creative designers have found ways to use parquet in much more exotic and eye-catching ways. A parquet hardwood floor is a great way to give a room a one-of-a-kind style, Be warned, however: parquet hardwood floors can be expensive and difficult to install. Make sure the flooring professional you hire has plenty of experience with parquet before you start the installation process. All three of these styles are available in a wide variety of hardwood species, so there’s no shortage of options for color, hardness, or width. Which style is best for you? It all depends on your personal preference and the room in which the flooring will be installed. If you have any questions about strip, plank, or parquet hardwood, please give us a call at 1-888-448-9663. We can't wait to help you pick the perfect floor! When installing hardwood flooring in your home, the star of the show is obviously the raw material. You chose that specific hardwood because of its appearance, its durability, and the way it complements your home's existing design scheme. But even the best hardwood flooring needs a little help living up t its full potential. The following are some of the most important hardwood flooring accessories you'll need if you want your floors to really shine. Remember these? They fill in the expansion gap between floors and wall, and can create smooth transitions between floors of different heights or thicknesses. Don’t want to hear the “click clack” of people walking on the floor above you? Underlayment minimizes sound between floors, and is so versatile it can be used with glue-down, nail-down, or floating hardwood floors. If you’re laying down hardwood stairs, you need the appropriate treads – the horizontal portion of the step that you step on. Without them, walking up and down stairs would be just plain awkward. 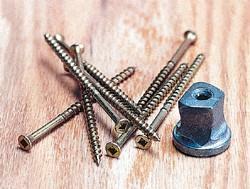 You need some kind of binder, such as nails or adhesives, to attach your hardwood securely to the subfloor below. 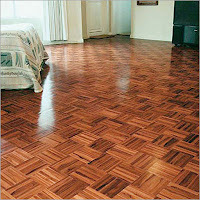 Different types of hardwoods only work with certain types of subfloors and fasteners, so choose carefully. Don’t worry, this is a good kind of stain. It’s the ultimate finisher for your floor once it’s all fastened and in place. 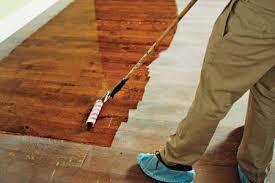 Stains can be used to change the floor’s color or bring out the wood's existing color and grain patterns. No star would be what they are without a support team. With the help of these accessories, your hardwood floor can achieve true star quality. Need advice on picking the right underlayment, fasteners, or any other hardwood flooring accessory? Call The Fantastic Floor today at 1-888-448-9663, or send us an email at customer.service@fantastic-floor.com. We can't wait to help you pick the perfect hardwood flooring accessories! Paint or Stain: Which is Better for Old Hardwood Floors? Hardwood floors, as sturdy as they are, inevitably sustain the wear-and-tear of everyday life. If scratches and stains are not properly dealt with, the appearance of your floors can really suffer. For many homeowners, replacing an entire hardwood floor isn't a viable option, so some turn to the next best thing: staining or painting. But which option is best for you, your home, and your budget? The following are pros and cons of both approaches that we help you make the right decision. This option allows you to get as close to the original look of your hardwood floors as possible. Refinishing or staining a hardwood floor restores years to its appearance, can get rid of unsightly scratches and stains, and can add resale value to your home. It can also increase your floor's durability, adding years to its lifespan. Staining or refinishing a floor is hard work. The process usually involves removing the existing finish, sanding down the whole floor to get rid of scratches and stains, and reapplying a few new coats of finish. This can be a very time-consuming venture for a DIYer, or a costly one for homeowners hiring a contractor. Additionally, if you don't know the specific brand and variety of finish your old floor had it can be difficult to recreate the exact look. Paining a floor is certainly cheaper and easier than refinishing a floor. 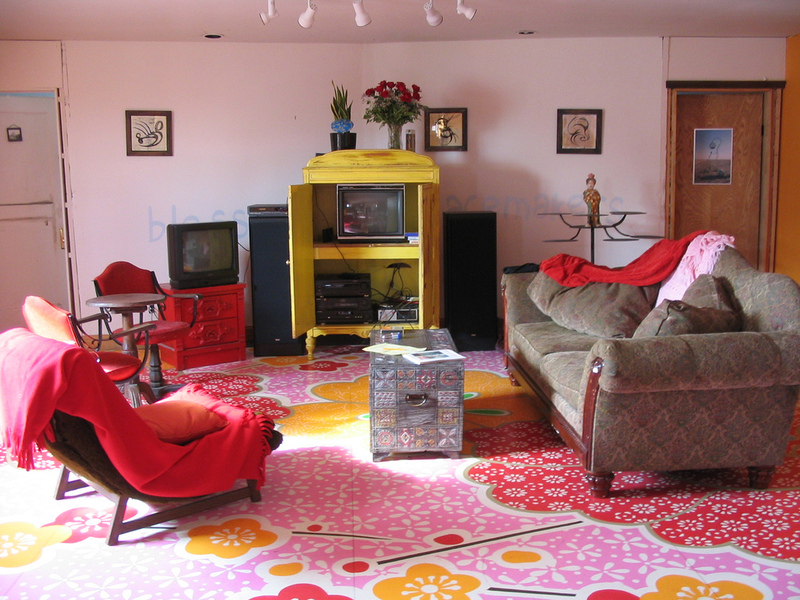 It also allows you to get creative and use your floor as a canvas, using bright colors, creating beautiful patterns, or even painting entire murals. Painted wood floors bring a whole new feature to the decor of your home and, if done well, can add lots of beauty to any room. Of course, painting a hardwood floor comes with plenty of cons. For one, laying down the primer and layer after layer of paint can take a lot of time. Paint is also not as durable as stains or finishes, and many homeowners with painted floors complain about peeling, cracking, and chipping over time. Finally, not every home buyer likes a painted hardwood floor, so if you're planning on selling your home any time soon this may not be the best option. When it comes to updating the look of old hardwood floors, most homeowners choose to refinish or stain, especially if they are particularly tied to the original appearance of their hardwood. But your hardwood floors are just that - yours - and you should paint however you want them if you have the inclination. Just remember that your floors are an integral part of your home, and you should treat them as something that will be around for a long time - because they will! Have you ever refinished or painted your home's hardwood floors? How was the experience? Leave us a comment and let us know! Happy Fourth of July, friends! 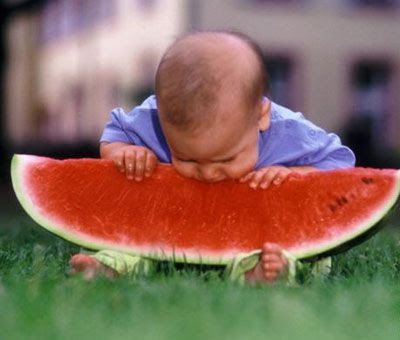 We hope your holiday is jam-packed with sunshine, fireworks, and, of course, delicious food! Welcome back to Fantastic Floor Presents! Last month we featured the versatile and classic Southern Yellow Pine. 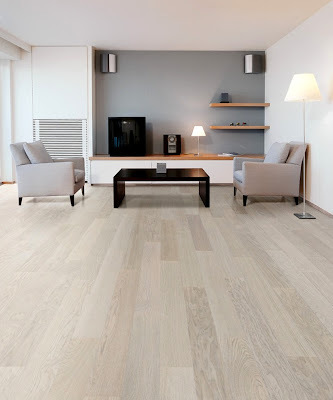 This month we are taking a look at a hardwood color that is becoming quite a trend in both the worlds of residential and commercial flooring: grey! One of the most popular grey hardwood flooring options available at The Fantastic Floor is Old Grey White Oak. This flooring variety is a very versatile hardwood and a standard in homes across the country. 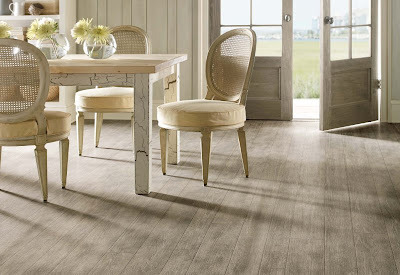 Its pale white tones give off a crisp, clean vibe that brings with it a feeling of age and tradition that is popular with hardwood floors. White Oak also stands up well to every day wear-and-tear, making it a smart long-term flooring option. Need help picking the perfect grey hardwood flooring option for your home or office? Call The Fantastic Floor today at 1-888-448-9663 to talk with one of our genius flooring representatives. We can't wait to help you pick the perfect floor! 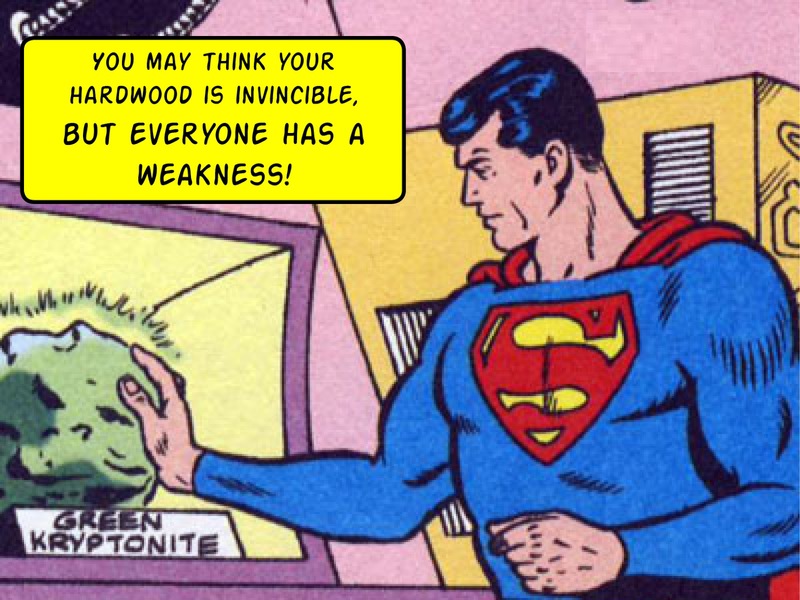 You may think your hardwood floors are as tough as Superman, but even the most resilient hardwood species has its kryptonite. Maybe it will sustain a scratch from someone walking around in high-heels, or suffer a scuff from furniture being moved. Scarred forever? Certainly not! Here are several easy first-aid options for tackling the various injuries your hardwood floor may sustain in the line of duty. 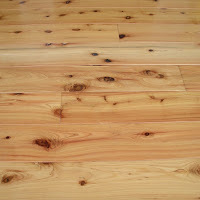 The method of repair for scratches on hardwood depends on the type of finish your floor has. 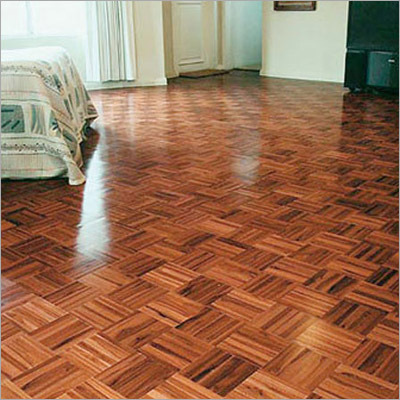 If your floor has a wax or penetrating stain finish, simply apply new wax to the area with a soft clean cloth. If it’s a surface finish, such as polyurethane, you can use a touch-up kit specifically made for your specific floor finish. These are sold at most hardware or home improvement stores, or you can order them online from such companies as Glitsa or DuraSeal. Like scratches, the treatment for heel scuffs depends on your floor’s specific finish type. For a waxed floor, simply add new wax and buff to a shine with fine steel wool. For a surface finished floor, scrub away with a urethane cleaner. This cleaner will also work for food stains or water spots on finished hardwood floors. Unfortunately, there aren’t a lot of great DIY remedies for high heel scrapes or divots. If the scrape or divot isn’t too noticeable, try filling it with a raw walnut and then reapplying the floor’s original finish. If that doesn’t work, or if there are too many scrapes or divots to conceal, call a flooring professional. Pets can wreak havoc on your hardwood floors. 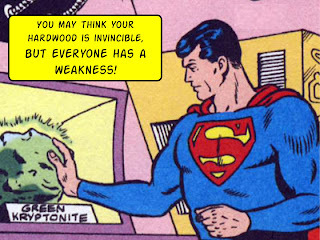 Luckily, Sparky’s nail marks can be treated much like any other hardwood scrape. If the scrapes aren’t too bad, apply new wax to wax-finish floors. If you’ve got surface finished floors, use a touch-up kit. While hardwood repair projects are too much for the average homeowner, most maintenance problems require little more than a simple touch-up kit, rags or wax. Not sure if your hardwood scratches can be easily remedied? Contact a flooring professional at The Fantastic Floor today to find out! We can’t wait to help you save your beautiful floor!